L322 Blue Centre Seat Belt Good used working conditionAs shown in photo..
L322 Boot Door Interior Trim And Hinge BlueGood used conditionSome marks and will require cleaning a..
L322 Charcoal Dog Guard ERF000014Good used conditionSome marks from useNet retracts as it should..
L322 Complete Cherry Wood TrimComplete wooden trimWith door card wood..
L322 Front Nearside/Passenger Side Interior Door And Window TrimGood used conditionNo damage to plas..
L322 Front Nearside/Passenger Side Interior Door A.. Range Rover L322 3.0 Td6 Handbrake AssemblyGood used working condition30 day parts warranty.. Range Rover L322 Centre Console Ashtray FKH000020WQDGood used working conditionSome scratches to top.. Range Rover L322 Centre Console Ashtray FKH000020W.. Range Rover L322 Centre Console Ashtray LRGFKH000020WQDGood used working conditionOpens and closes a.. Range Rover L322 Centre Console Ashtray LRGFKH0000.. Range Rover L322 Centre Console Cup Holder FJI000030PUGood used working conditionOpens and closes as.. Range Rover L322 Centre Console Cup Holder FJI0000.. Range Rover L322 Centre Console Cup Holder FJI000030PUYRight Hand Driver Good used working condition.. Range Rover L322 Centre Console Tray Trim 11868010Good used conditionNo damage as shown in photo.. Range Rover L322 Gear Lever/Stick Good used conditionComplete with plastic internal locator.. Range Rover L322 Interior Walnut Wood Effect Dash TrimComplete dash setAs shown in photo.. Range Rover L322 Interior Walnut Wood Effect Dash .. Range Rover L322 Lower Tailgate Interior TrimGood used conditionComplete with springs ready to bolt .. 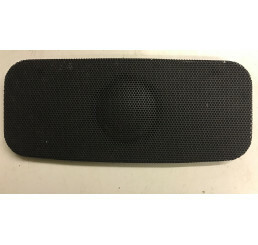 Range Rover L322 Near Side Front Cup Holder FBD000025PUYGood used conditionWill fit Range Rover 02-0.. Range Rover L322 Near Side Front Cup Holder FBD000.. 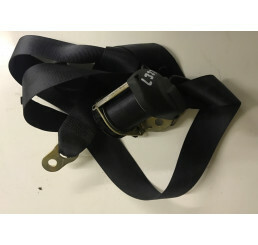 Range Rover L322 Nearside Rear Aspen Green Seatbelt EVL000510LUPGood used working conditionWill fit .. Range Rover L322 Nearside Rear Aspen Green Seatbel.. Range Rover L322 Nearside/Passenger Side Front Dash Cup Holder FBD000020PUYGood used working conditi.. Range Rover L322 Nearside/Passenger Side Front Das.. Range Rover L322 Nearside/Passenger Side Front Door Card Blue And Cream 11100024007Good used conditi.. Range Rover L322 Nearside/Passenger Side Front Doo.. Range Rover L322 Nearside/Passengers Side B PostGood used conditionSome marks from useAs shown in ph..